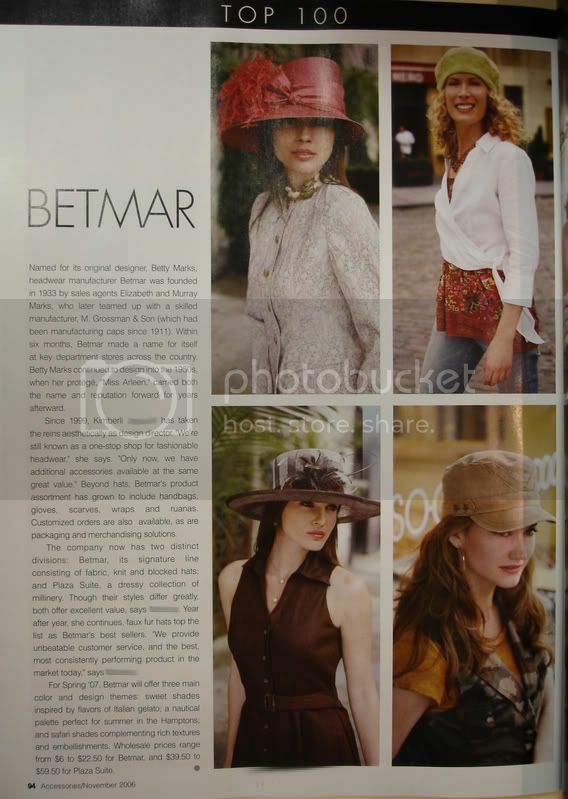 In a time where I can use good news... something to make me smile more than anytime in recent history... today, the November issue of Accessories magazine hit the shelves listing Betmar in the Top 100 Accessories Brands and they ran an interview they did with me to boot! I'm pleased with how it came out. If you see a copy on the news stand, you'll find the article on page 94. Enjoy! ...at least I have a career that's powering along. My folks came to town this weekend to show their support. I have great parents. 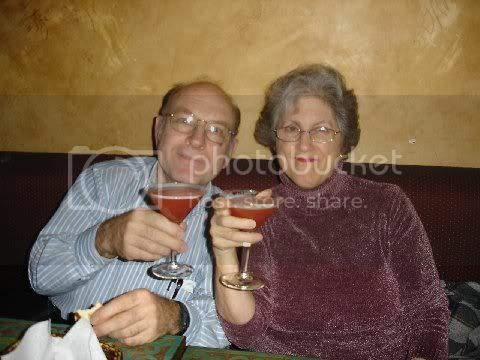 Thanks for coming all the way from NH Mom and Dad. It's times like this that I wish NYC wasn't so far from New Hampshire. Saturday night we went to Casbah Rouge for some yummy Moroccan food and to see the belly dancing show. A nice escape from my thoughts...if even for a little while. BUT -- this is time sensitive so here goes!! 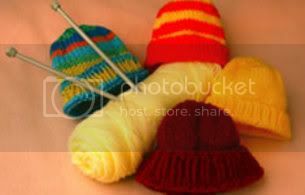 Jennifer over at Major Knitter is collecting yarn and supplies for a charity project where children will not only learn to knit, but learn about donating to charity at the same time! She's got some LOVELY prizes to boot! 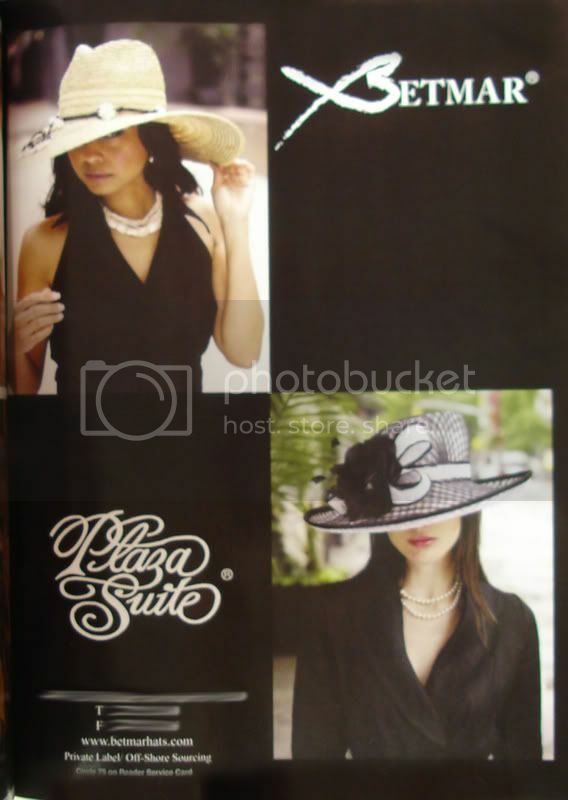 Click on over to her site for more details!!! Hello All -- yes - I know I'm terribly behind on my blogging... I've a file of 100s of photos from Italy, Taiwan, Hong Kong, Dongguan and Shanghai... it's been a VERY BUSY past MONTH!!! 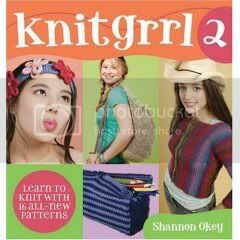 Shannon Okey will be at Knitty City TONIGHT on her new book tour for her latest book Spin to Knit! I'm hoping to be able to squeeze in a few minutes there to meet Shannon! 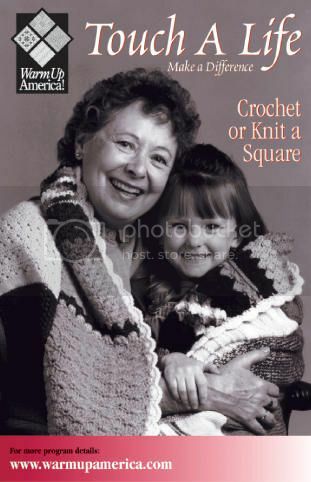 It's her book, Knitgrrl2, that I have two designs in from this past spring. We worked everything via email, snail mail etc. Swing by if you have a chance! Not only is she working on some interesting projects, but Knitty City is a GREAT VENUE with a GREAT STAFF!! Perhaps I'll see you there! Sock progress aplenty...I almost finished my Jay walkers tonight! Yeah! Photos to follow eventually of them done!! My friend AvaD held her CraftyClubhouse per usual this weekend and has some great photos posted! One of these days I'll make out to the end of the Island to join in on the fun!! Allegra and Alex came over in the evening to join Dan and I for Game Night. Although it was a smaller turn out than I'd expected but I'm NOT complaining because we had a GREAT time!! After a bowl of homemade Smokey Escarole Soup (it cooked while I cleaned), Dan made tasty Vodka Gimlets to go with the variety of snacks lain out to pick at. 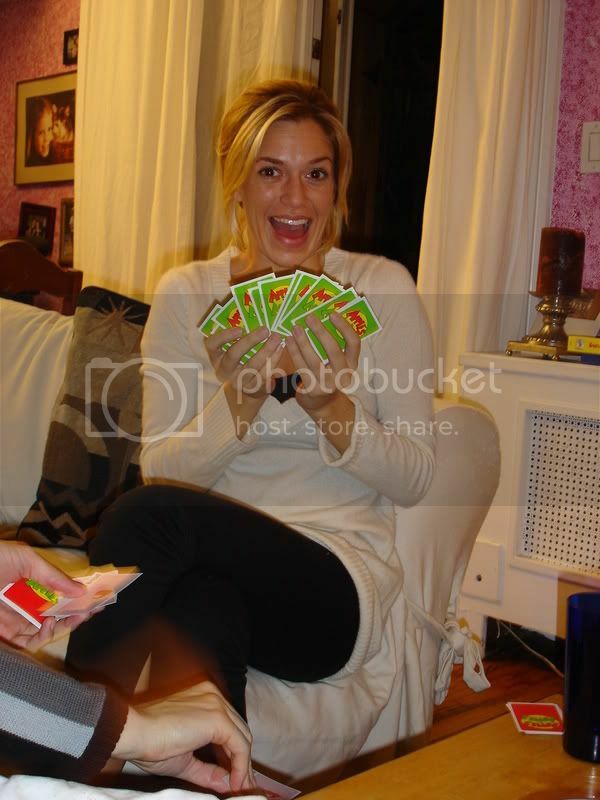 Here we see Allegra who won the game - Apples to Apples - with her 8 points. At which point the guys said they meant 12 points... so then you see Allegra holding her 12 points...at which time Alex said "14 points!!"... and yes - then you see Allegra with 14 points! You go girl!! I can't wait until next time! Allegra - have a safe trip through Asia! One of these days we'll actually be there at the SAME TIME!